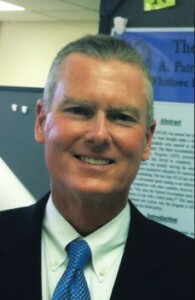 Patrick Huff is a retired educator of 34 years, with experience as a middle school and high school principal. He has a bachelor’s degree from Texas Christian University, a master’s degree from Sam Houston State University, and a Ph.D. from Prairie View A&M University in educational leadership. Currently, he is working as an adjunct professor at the University of St. Thomas in Houston, Texas. He lives with his wife, Connie, in Tomball, Texas, located just north of Houston.